NEW YORK – Stephen Espinoza wants to believe Bob Arum. Until Arum acts upon what he has discussed regarding a Deontay Wilder-Tyson Fury rematch, though, Espinoza expects that’ll Fury will fight someone other than Wilder next if Fury defeats Tom Schwarz on June 15 in Las Vegas. Espinoza expected a second Wilder-Fury fight to take place May 18 at Barclays Center in Brooklyn. Once Fury signed a co-promotional agreement with Arum’s Top Rank Inc. last month, negotiations ceased for Fury to fight Wilder next. 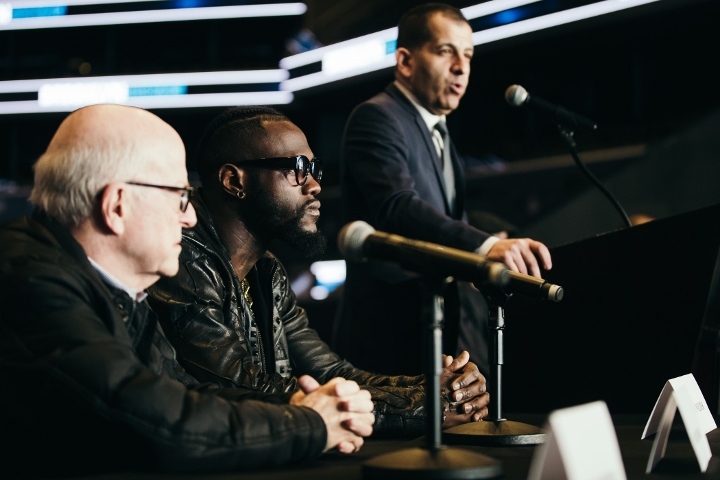 Instead, Wilder will make a mandatory defense of his WBC heavyweight title against Dominic Breazeale on May 18 at Barclays Center, four weeks before Fury meets Germany’s Schwarz in a fight ESPN+ will stream from UNLV’s Thomas & Mack Center in Las Vegas. Arum suggested Saturday night that a Wilder-Fury rematch wouldn’t happen until at least February, assuming they keep winning. Espinoza, Showtime Sports’ president, discussed the likelihood of an eventual Wilder-Fury rematch recently with BoxingScene.com. “Conceptually and theoretically, it’s very possible,” Espinoza said. “The question is one of intent, because I’ve heard [Arum] say that there are other fights he’s interested in – Crawford-Spence or Lomachenko-Garcia – and he’s done nothing to advance those. Not a single phone call, not a single attempt to make those fights, other than talking about them publicly. For now, Espinoza hopes fans at least appreciate that Wilder-Breazeale isn’t a pay-per-view main event. That took “a significant financial commitment” from Showtime once DAZN proposed a four-fight deal to Wilder (40-0-1, 39 KOs) that would’ve paid him $20 million to box Breazeale (20-1, 18 KOs) before boxing Anthony Joshua. “There will be some appreciation that this fight is not on pay-per-view, and that was important to Deontay,” Espinoza said. “It required a financial commitment from our network, which we were happy to make – a significant financial commitment. But I think what some of the reaction will be is it creates obstacles toward getting the big fights. Wilder already turned down $100 million...what's that tell you? No it has everything to do with the fact it isn't a PPV worth fight. Its not that complicated. The same reason all his other 40 plus fights bar Fury weren't on PPV. Wilder isn't a PPV attraction.